Dr. Hyang Soon Oh, Doctor of Public Health, Epidemiology, has been Graduated from College of Nursing, Seoul National University, and MPH and PhD from Graduate School of Public Health of Seoul National University. 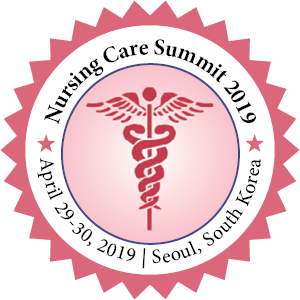 As a Nurse Epidemiologist, with the specialties including Fundamental Nursing, Hospital epidemiology and Infecton Control, she works as a Team Leader in Infection Control at Seoul National Univesrsity Hospital, and Professor at Woosong University, and ex-President of Korea Association of Infection Control Nurses. She has published many papers in reputed journals and she has continued her research on Infection Prevention and Control. Presently she has been working at the at the Sunchon National University, Suncheon City in South Korea. Background: To assess the current status of knowledge, perception, attitudes, and role model regarding hand hygiene (HH) among infection control nurses (ICNs), and to identify the factors influencing these variables. Methods: : A structured questionnaire was adapted from a World Health Organization survey. Data were collected from November 8, 2017 to February 2, 2018. Results: ICNs showed the following scores (mean±SD) on knowledge (19.5 ± 2.3), perception (69.9 ±8.9), attitudes (46.9 ± 5.8), and role models (39.2 ± 6.0). HH performance of healthcare workers (HCWs) was 75.2 ± 15.5 Mean HAI rates (p=0.001) and mean score of HH performance of HCWs (p=0.007) were significantly different according to infection control experience (three groups: ≤12 months, 13-24 months, >24 months). The regression model for HH performance of HCWs was calculated as follows: Y1 = 31.638 + 0.067X1 (perception of ICNs) + 0.133X2 (attitudes of ICNs) + 0.825X3 (role models of ICNs) (p < .001; adjusted R2 = 0.115). Conclusions: Specialized well-structured HH education and training programs should be developed for ICNs, and this will help improve HH performance of HCWs.